From Key Largo to the Dry Tortugas, this true insider’s guide to Florida’s subtropical islands, offers a comprehensive look at famous attractions such as daily sunset celebrations, historic bars, renowned restaurants, and America’s only living coral reef. Supplemented with information about local hidden gems, it offers tips about secret gardens, hip diners, and beachfront bistros. 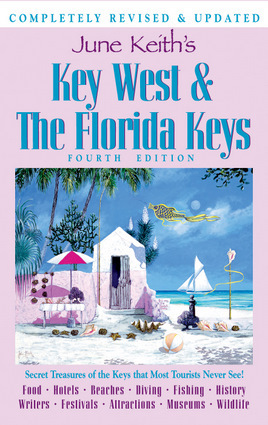 The swashbuckling history of the Keys and some of its most famous inhabitants are brought to life with charming text—from Jimmy Buffett to the ever-present ghosts of Ernest Hemingway and Tennessee Williams. June Keith is the author of Postcards from Paradise and More Postcards from Paradise and a columnist for the Miami Herald. She lives in Key West, Florida.